This Friday, February 23rd, Artopia — Denver’s annual celebration of art, culture and fashion — will be livelier than ever, in a new location and with a new emphasis on providing an immersive art experience. This year’s attendees who visit Good Chemistry Nurseries’ lounge space will get to watch one of Denver’s greatest street artists, Patrick McGregor, create art right before their eyes. McGregor has specialized in hand-painted murals and fine arts since 1993. 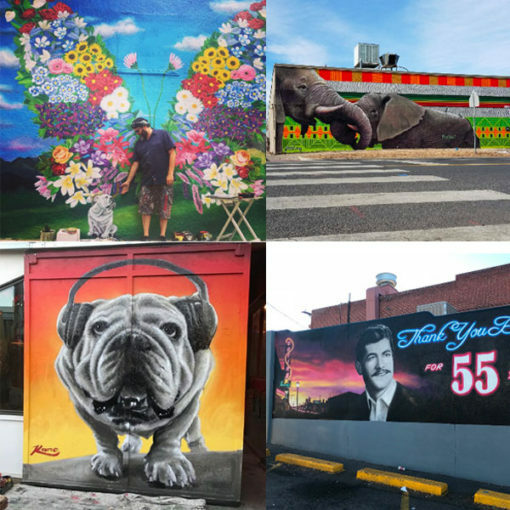 His murals and artwork can be found around the Denver area and have been featured in events, such as CRUSH, The Friday Experience and Artopia 2017. We encourages guests to stop by our lounge space for the chance to receive a special edition T-shirt, created by Patrick , as well as other Good Chemistry merchandise. Good Chemistry’s Artopia lounge space will also provide attendees with the opportunity to learn more about our S.T.A.T.S guide for assessing high quality Cannabis. 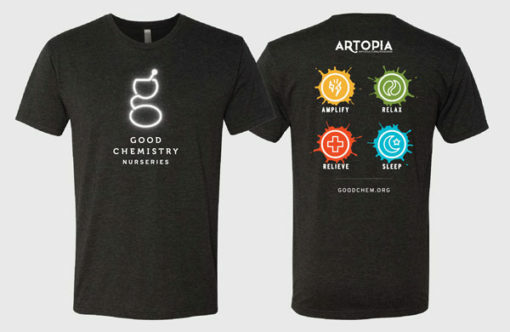 Good Chemistry is proud to sponsor Artopia and encourage members of the community to celebrate a night of art and culture, while supporting communities in need. Proceeds from the event support organizations that help members of Denver’s most vulnerable communities to make life choices that positively impact their future by teaching them to develop the coping tools, inspiration, and wherewithal to succeed in today’s world and to become leaders of tomorrow. The event will also hold its fourteenth MasterMind awards — a grant program that gives no-strings-attached awards to arts organizations and individuals who are changing the cultural landscape of Denver. Visit any Good Chemistry location today to join our new Members Reward program. If you’re already a member, we’ll send you discount promo code directly to you. Thank you for supporting Good Chemistry Nurseries. We’ll see you at ARTOPIA!